And today, on International Women’s Day, I’ m in the mood to celebrate. Celebrating women for me means celebrating every hurdle we overcome. It’s celebrating ‘having made it’, either as mothers, in our careers, as entrepreneurs, artists, athletes, and simply in life in general. To celebrate, I wanted to remember everything I was told or I witnessed women being told, or heard about successful women in the course of my career. And I want to salute all the unstoppable women who went ahead and were able to ignore the Jane translation of a successful career path. 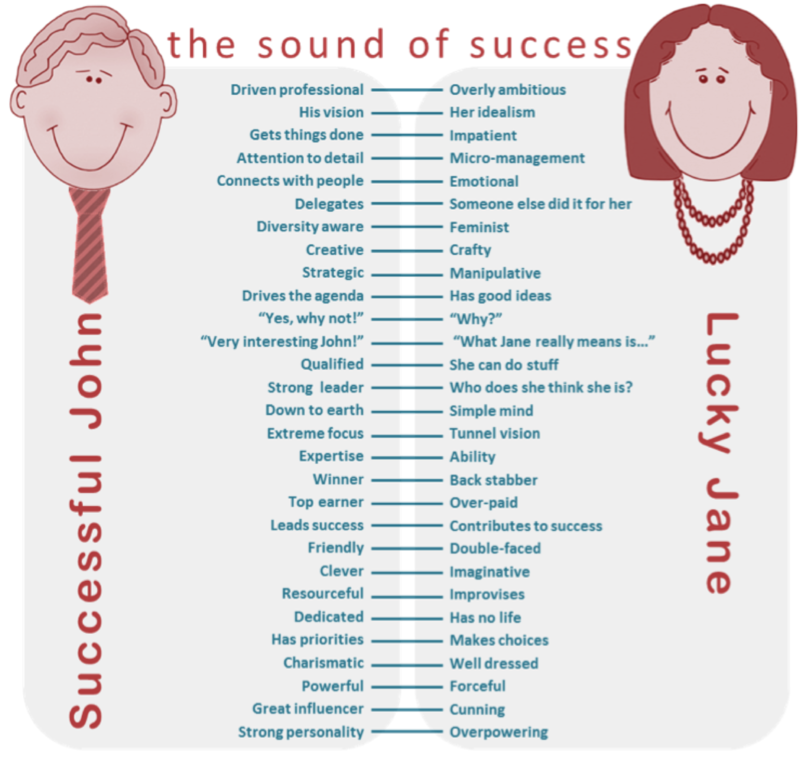 Please read with a smile and a pat on your back: thanks to you, the right column is fading – Jane is becoming less lucky and definitely more successful.